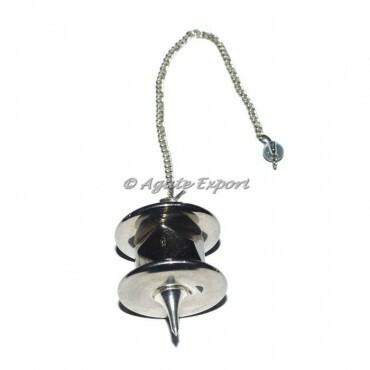 Exclusive Collection of Silver Steel Plain Pendulum at affordable price only at Agate Export. Pendulum pendants are used for healing. These are also making a positive vibes in around a human. Also you can wear it any occasion. Place the order as soon as possible.